Designed to look like vases full of flowers, these large candelabra will look stunning placed in either an antique or contemporary style space. 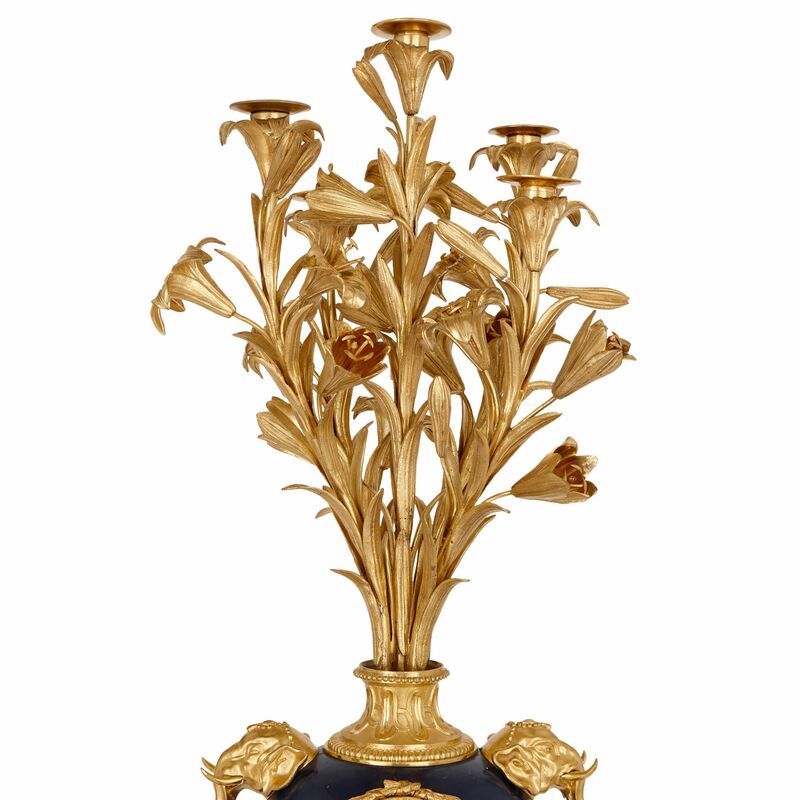 The candelabra are designed in the form of classical amphora vases, holding flowers. 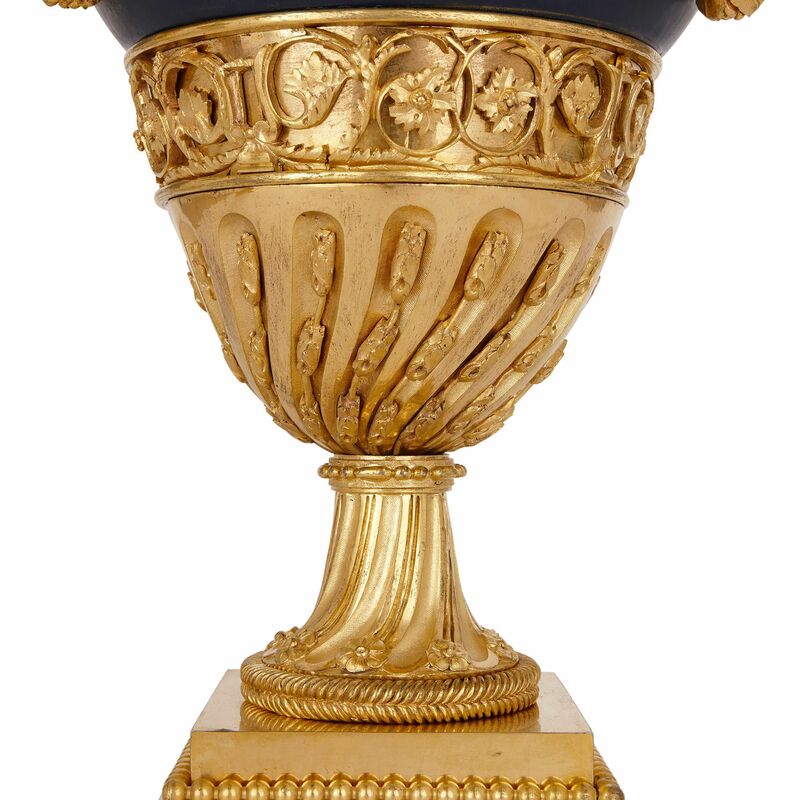 The vase-shaped bodies stand on fluted ormolu (gilt bronze) feet, which are set on stepped, square ormolu plinths, edged with beading. The tops of the stems are decorated with ormolu bands of scrolling foliage. 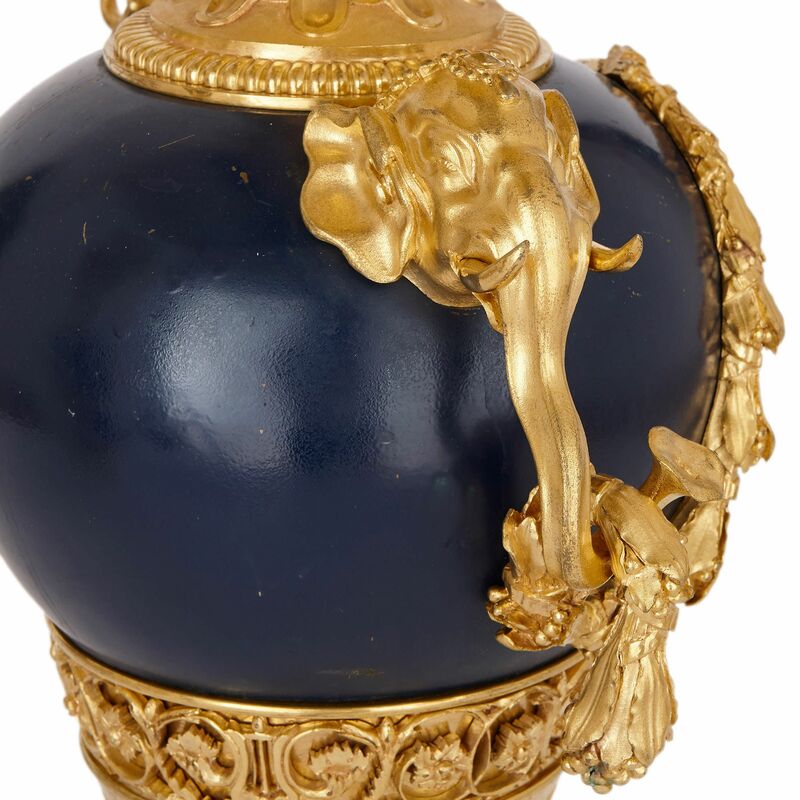 The bodies have been crafted from navy painted tole (metal), and the shoulders mounted with sculptural ormolu elephant’s heads, their trunks holding fruiting foliage swags. 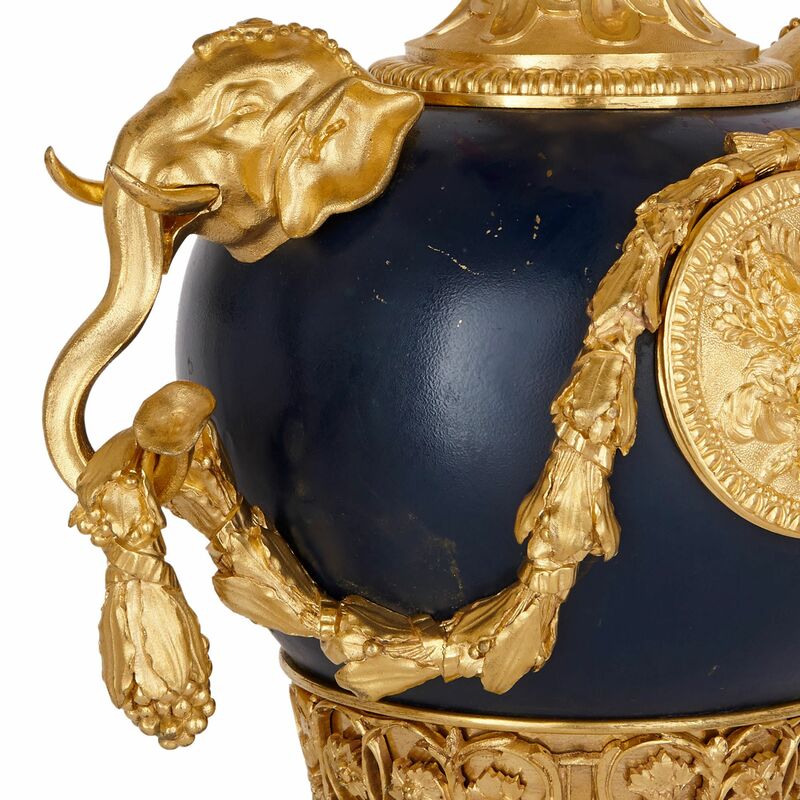 These swags are draped over circular ormolu medallions, mounted at the centre of the vase-form bodies. The medallions are decorated with classical motifs, including birds, arrow quivers, burning torches and foliage. 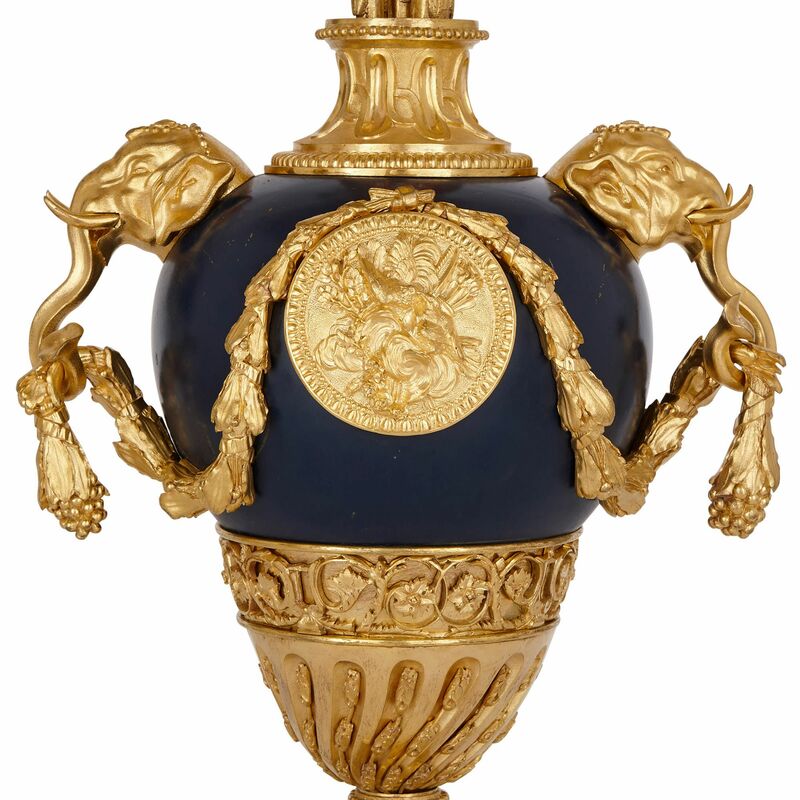 Topping the vase-shaped bodies are ormolu necks, decorated with interlocking forms and edged with beading. 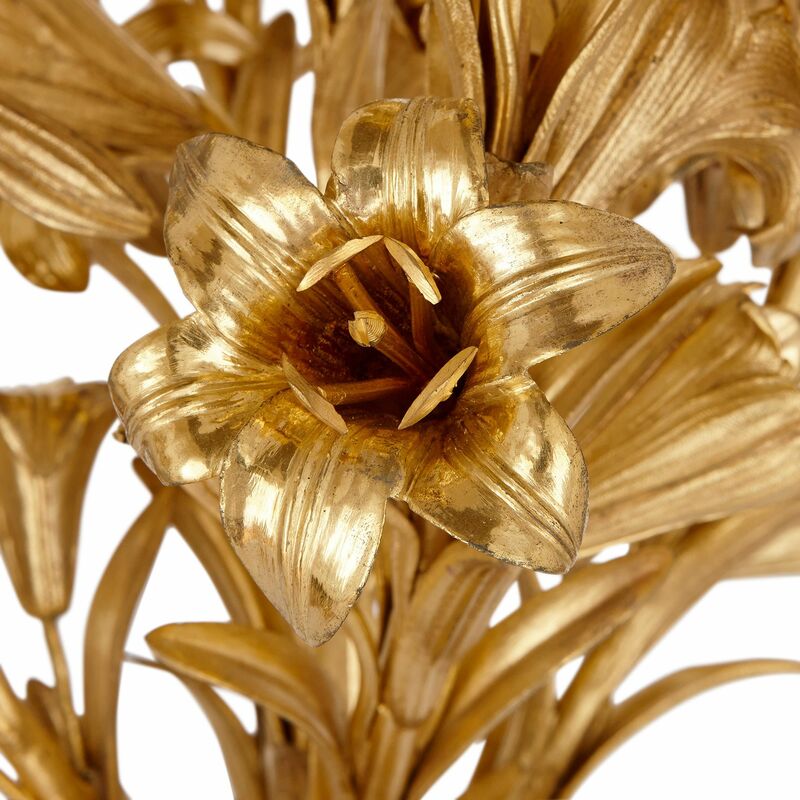 From the necks spring ormolu flowers, similar to lilies. Some of these open their petals to reveal candle-holders. 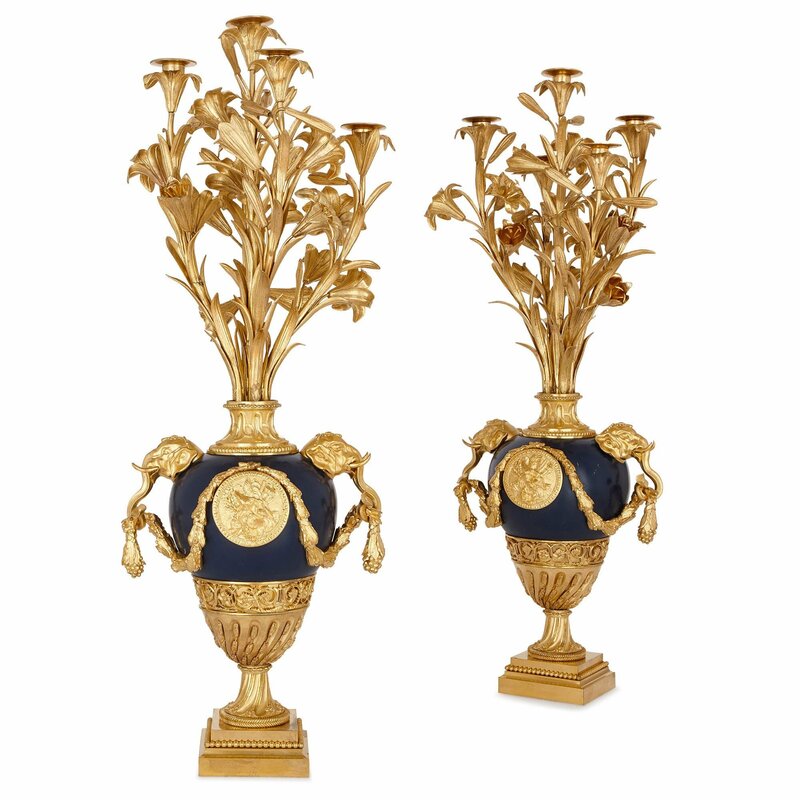 Once fitted with candles, the flickering light will catch on the ormolu surfaces, causing the pair to glimmer and glow.